We are one of the well-distinguished companies in the market that is into providing Bentonite Powder. 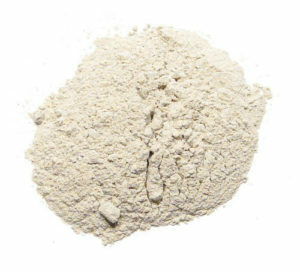 This Powder is especially used for an electrical earthing purpose. many industries application like Foundry Casting , Pilling/Civil Eng., Iron Ore Pelletizing ,Drilling Fluid(API/ OCMA) ,Geosynthetic Liner ,Paper, Animal Feed, Desiccants, Electric Earthing ,Environmental Protection ,Cat Litter, Organo Clay(Paint, Ink, Rubber, Coating etc. as Rheology additive)Etc. We also Process calcium Bentonite for Bleaching Earth used for purifying edible & petroleum oil. Rajasthan Super Fillers Private Limited, Rajasthan, India is counted as reliable manufacturer and suppliers of Bentonite Powder. Our powder are highly acclaimed for their purity and efficiency among our clients, due to our processing from high quality raw material and modern technology. This Powder is available with us in various specifications as per clients’ needs at market leading price.